The large-bore New Model Army conversions produced by E. Remington & Sons starting later in 1868 are historically significant because they were the first big caliber metallic cartridge revolvers to be made and marketed in the United States in sufficient numbers to have a real impact. 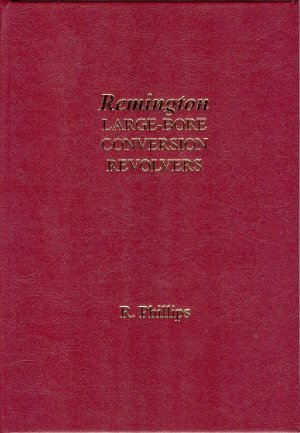 This well-illustrated book identifies, illustrates, and deals historically with Remington large-bore conversion revolvers originating from the E. Remington & Sons factory and private sources from approximately 1865 to the turn of the century. in leather hardcover, 126 pages, with some 200 illustrations. This fine book is available through the author for $55.00 U.S.